Samsung the tech-giant recently launched Samsung Galaxy C5 and Galaxy C7 in China priced at CNY 2,199 and CNY 2,399 respectively. 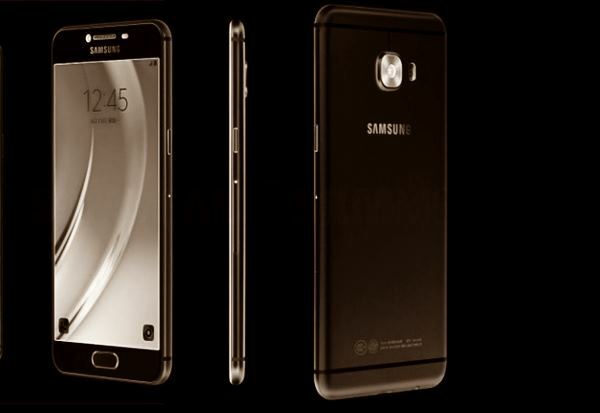 Now Samsung Galaxy C5 Pro and Samsung Galaxy C7 Pro leaked online with specifications and images. According to latest leaks, Samsung Galaxy C5 Pro will launch in Q4 2016 priced at CNY 2,999 (approx. Rs 23,000 in India). According to leaks and rumors, Samsung Galaxy C5 Pro will come with a 5.2-inch Full HD TFT display resolution of (1920×1080 pixels) and Gorilla Glass 4 Protections. It will support Dual-SIM, Micro SIM with 4G LTE, 3G , Wi-Fi, Micro-USB 2.0, Bluetooth 4.0, GPS, GLONASS, NFC packed with a 2600 mAh battery with Quick charge features. As per latest leaks, Samsung Galaxy C5 Pro will run on latest Android 6.0.1 (marshmallow) OS powered by a 1.5 GHz, Octa-core , Qualcomm Snapdragon 650 SoC clubbed with 4GB RAM. The device will be packed 32 GB inbuilt storage memory and 128 GB of external memory to store your favourite song and videos. As far as camera as concern, Samsung Galaxy C5 Pro will bear a huge 16MP Auto-focus Camera on rear with dual-tone LED flash featuring touch focus, Auto focus, HDR face detection, Panorama. While an 8MP camera place on the front perfect for taking selfie and video calls . Samsung Galaxy C5 Pro Price in India Approx Rs 22,999. At last few honest word from my heart, Samsung Galaxy C5 Pro is coming to please the world. What you think? Please stay tuned for more updates.